While air impurities like dust and dirt in a confined work environment can affect the well-being of employees, these contaminants also have the potential to endanger the health of electronics, causing them to fail. While electronic repair centers aim to provide a valuable service to their customers in fixing their defective devices, they could end up harming their business if they are not careful with limiting the amount of air impurities that may be collecting in their shop or warehouse. Dust and debris could easily get caught within the crucial components of computer systems, which could lower the performance of these electronics and could create new technical issues in the future. Knowing this, electronic repair centers could benefit from maintaining a work environment that is free from air impurities by using air cleaners. The typical lifespan of a desktop computer is between 3 to 5 years, according to Bright Hub. However, there could be certain environmental factors that could result in a shortened lifespan for devices and wasted money for customers. Making sure consumer devices are repaired effectively in a clean environment could result in increased customer satisfaction. Once customers spread the word of their great repair job, companies could see a boost in business. Dust can not only gather within the hardware of computers, but also the keyboard and mouse, according to PC World. Without regular maintenance to ensure dust is not affecting the functionality of these devices – which could involve purchasing cleaning fluid or compressed air cans – users could find themselves with sticky or non-working keys and buttons. Electronics that are waiting to be repaired may gather dust, which could end up in the device, clogging up fan vents. 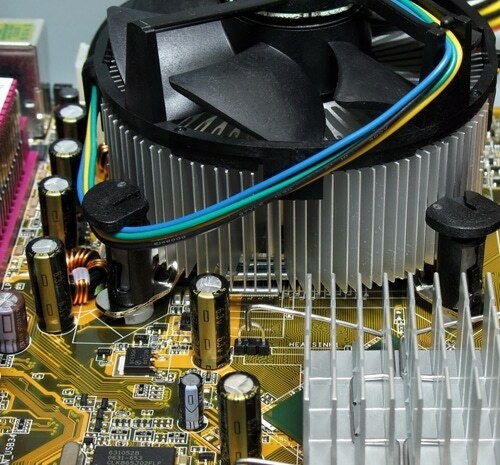 If fans are not able to cool the computer, the device itself may overheat and give out sooner than the customer expected as air impurities that penetrate the protective casing of electronics could actually cause them to eventually break. When dust gathers inside a computer, the dust acts as insulation and leads to damage. In rare cases, the dust that resides inside computers could also form into a conductive sludge when the computer is transferred from extremely cold temperatures to a humid environment indoors. Air purification systems would help stop dust at the source to prevent debris from collecting inside electronics. For machinery and other electronics that have tendencies to overheat due to accumulation of dust and other pollutants inside cabinets, companies invest in cabinet ventilators that act as a forced air system. This type of air purifier will pressurize an enclosure that holds electronics to ensure removal of contaminants while forcing heat out of the cabinets. Indoor air pollution and air quality news brought to you by Air Impurities Removal Systems, Inc.